Toronto – January 23, 2019 – As Canada’s leading and most progressive union, UFCW strives to build a better life for members and their families. Part of that work involves negotiating strong union contracts and providing members with excellent representation at work. But our union also helps members achieve a more affordable life through the Union Savings program. That’s right: as a member of the UFCW Canada family, you have exclusive access to Union Savings, which can help you and your loved ones find better value on everything from home insurance to credit cards and more. 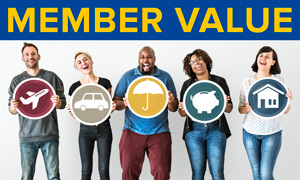 Our union is always working hard to create value for members and their families, and the Union Savings program is one of the many ways that we achieve this. How do I know if I am eligible for Union Savings? Are you a non-unionized worker who would like to enjoy the benefits of Union Savings? Join Canada’s best union, UFCW Canada, to build a more affordable life and make your workplace better today. Click here to join now.